IF YOU’RE A SPORTS FAN, the name Kate Fagan probably isn’t new to you. She’s a columnist and feature writer for ESPN.com and ESPN The Magazine. You may have seen her as a panelist on ESPN’s Around The Horn or ESPN2’s First Take. 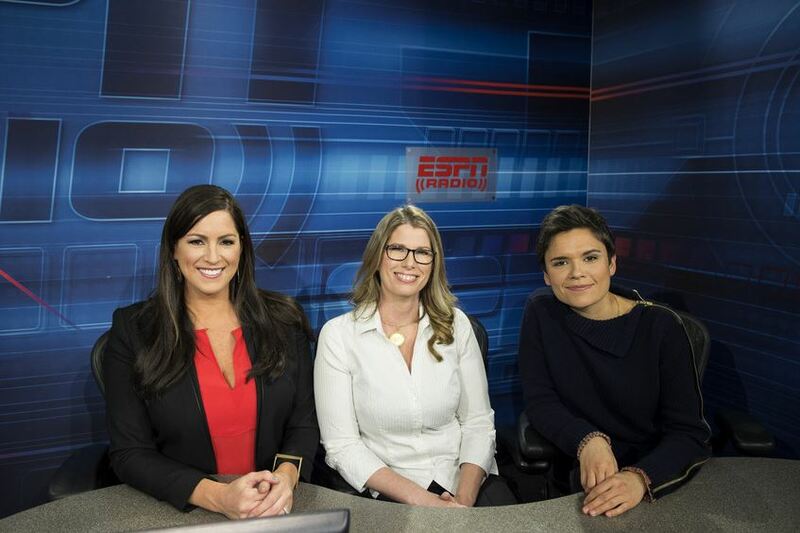 In addition, Fagan is one-third of The Trifecta, a new national show on ESPN Radio that pairs her with Sarah Spain and Jane McManus. The show focuses on the intersection of society and sports issues that matter most to women, in addition to covering the major sports headlines. The show will cover a range of topics, asking questions like “Are Victoria’s Secret Runway Show Models Really Athletes?” to “Who Are The Biggest Underdogs in Sports This Year?” Fagan spoke with Lady Clever about how she views being a woman in the male-dominated sports industry as an opportunity instead of a hindrance, the challenges of acclimating to radio, and how a career covering sports lead her back to her first passion: writing. What drove you to make covering sports your career? I grew up wanting to be a writer and write books. I played basketball in college, and when I graduated I knew I couldn’t just sit around writing the next greatest American novel. So, I decided I would start in newspapers. I thought since I played sports and I had a background in sports that it would be a good place to focus my attention. How do you approach working in such a male-dominated industry? I look at it as an opportunity. I’m always going to inherently look at the sports world differently and find different stories. I’m going think about how things impact athletes differently. I always thought it was an opportunity to stand out. How did The Trifecta come about? Within espnW, the three of us have distinct personalities that happen to mesh well together; there’s chemistry. We wanted to display that, as well as our understanding of the sports world. We all have lengthy backgrounds covering sports, and offer something new to radio listeners because so much of what they hear on the radio is often from similar viewpoints. We thought we had something new to offer. What’s been the most challenging aspect of hosting your show? The most challenging aspect has been getting familiar with the medium. Among the three of us, Sarah’s the only one with a radio background. There’s nuance to how radio works and how things play on radio, which is different than print and television. For Jane and me, trying to understand what topics play well on radio and works well on radio is a new endeavor. How do you, Sarah, and Jane divide up the workload? We don’t really divide the workload, we just have to be knowledgeable about each topic and each subject. Sarah has a radio background, she “drives” the show and does the welcomes and the exits, but otherwise there is no divvying of workload. We each have the same workload because the point is to have interesting, smart things to say about each topic regardless of what the other person might say. What do you want listeners to take away from your show? I think we want them to see the sports world differently, whether it’s one moment or one story. We want them to laugh. I don’t think we take ourselves too seriously. We do when the moment is needed and a certain sports story is important and our voices are needed. But, for the most part this show is supposed to be playful, funny, fun, and different than anything else they’re hearing. Whatever direction the charge of media is going in, you should go the other direction, which applies to journalism. Sometimes the story is not always where everyone thinks it is, but also in relation to any career or life moment — sometimes the direction everybody else is going in, while you think it might be safe, isn’t going to get you where you actually want to be. What’s the best piece of advice that you have given to someone else? My piece of advice that I usually offer when I speak at colleges is when you’re young, and as quickly as you can, take in tune of what you notice. A lot of times that is what allows you to see something differently or write things differently, as if you’re actually paying attention to your own internal compass. What you find interesting is probably going to be interesting to other people, because it’s seeing the world in a different way and illuminating that to people. What do you feel like your biggest accomplishment has been? My biggest accomplishment has been realizing that when I am open with who I am — my sexuality and my gender presentation — that it’s helpful for people. I think that was a scary thing for me, because it was different in the sports world. Being able to get to a place where I was comfortable with seeing myself as who I am made me feel more confident and powerful. I hope people who are gay or look differently than others feel that the sports world can be for them too. You seem to have conquered so much of the sports world. What is still on your career bucket list? I’m midway through writing a book, and the book comes out a little over a year from now. I already have a book out, but this one is different — it’s non-fiction. It’s about reporting and it’s a different kind of story so this will be exciting for me. As I mentioned in the beginning, writing books is something that I’ve always wanted to pursue. Kate is currently working on a book called Filtered, but we have a feeling it will be full of her unique POV. Keep up with Kate on Twitter and Instagram. 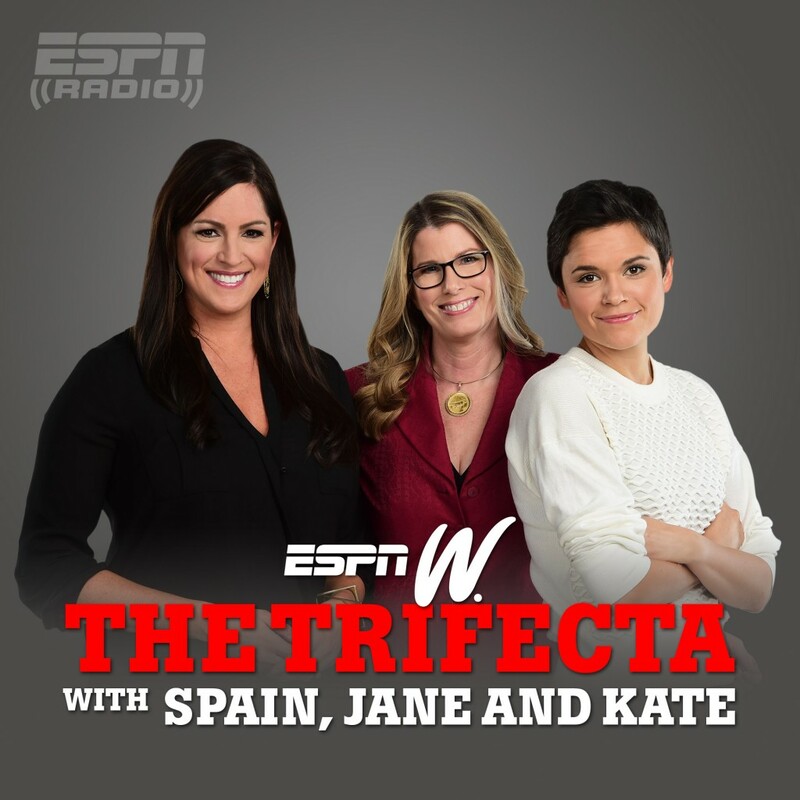 Be sure to tune into The Trifecta on Saturdays on ESPN Radio nationally, from 12-3pm EST.